A global forestry consulting organization is the source for news of dramatically higher lumber prices across the North American continent since 2011. Overall, prices have gone up over 60 percent since then. Specifically, Wood Resources Intl. recently released a report stating that saw log prices in the western U.S. hit a five-year high in 2012. Then, the increases continued further, into early 2013, when another high occurred in February. At that time, the index that tracks random length lumber prices peaked. The improving U.S. home construction picture is helping to fuel sharp increases in domestic lumber prices. 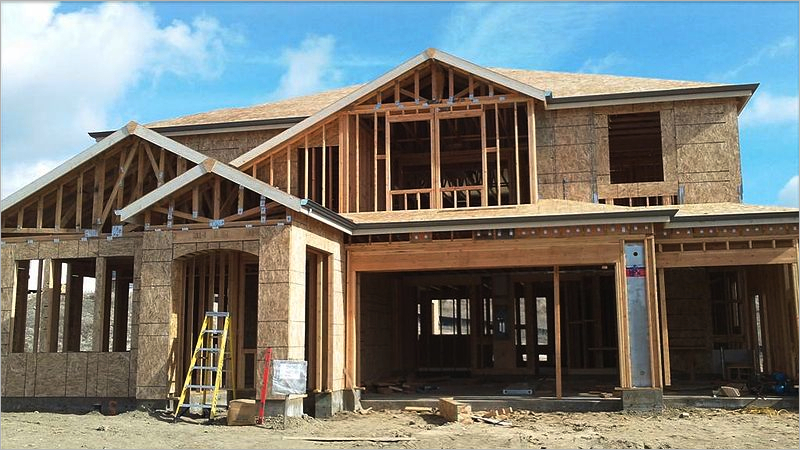 Single family homes and apartment complexes account for almost half of the lumber used in the country. In 2005, over 2 million homes were being built each year. In 2009, that number had tumbled to 500,000. Lumber prices followed this skid, dropping by about two-thirds. Now, the turnaround is impacting demand as the supply of vacant homes in the U.S. decreases. At the same time, the nation's population grows at a rate of 3 million individuals every year. This population is largely responsible for the rebound in the demand for new construction. Wood Resources Intl. also cites increasing Asian demand as another source of upward price pressures. RBC Capital Markets analyst Paul Quinn specifically cites strengthening Chinese demand as being largely responsible for the uptick. As a result, he has recently increased his "Western SPF" target spot price to $350 per 1000 board/ft for 2013 and up to $375 for 2014. Western SPF refers to spruce, pine, and fir softwood lumber. However, over the short term, he did forecast some temporary softening in demand in mid-2013 as rapidly increasing production combines with a brief pause in Chinese purchases. His long-term view remains bullish as he sees continued strengthening in United States home building combined with growing Asian demand for lumber from North America. Production is also increasing in response to this improved market. In 2012, Canadian lumber production expanded by five percent, while production in the United States increased a full eight percent. Regionally, even more substantial increases were noted. For example, sawmills in the eastern Canadian provinces saw overall production go up 16 percent in Q4 2012, according to Wood Resources Quarterly. Their production is a good indicator of U.S. housing market demand because most of their lumber is shipped to the United States, rather than to international destinations. The industry magazine also focused its attention on western North American sawmill output. It observed that such facilities are well-positioned to benefit from the dual strengths in the Asian and U.S. markets. The publication states, "Sawmills in the Western region have been more fortunate than mills in other regions in North America since they have been able to ship lumber both to markets in the U.S. and to Asia." Profits are accruing on the balance sheets of major lumber producers as prices soar. For example, Canadian lumber producer Canfor Corporation saw sales increase in the fourth quarter of 2012 by an impressive 25 percent. Sales reached $721.8 million and profits came in at $21.6 million. This firm and many others increased shipments to take advantage of the higher prices. This sudden influx of lumber actually reduced prices temporarily in January. Overall price strength was demonstrated again in February, when prices rebounded, to $390 per thousand board feet. Therefore, from lumber producers to sawmills, industry enterprises are benefiting from increased lumber prices. Analysts suggest that global demand, especially that emanating from Asia, should buttress the need for speciality products like Fiberon Decking well into 2014. About the author: Keith Hurbert is a freelance blogger.